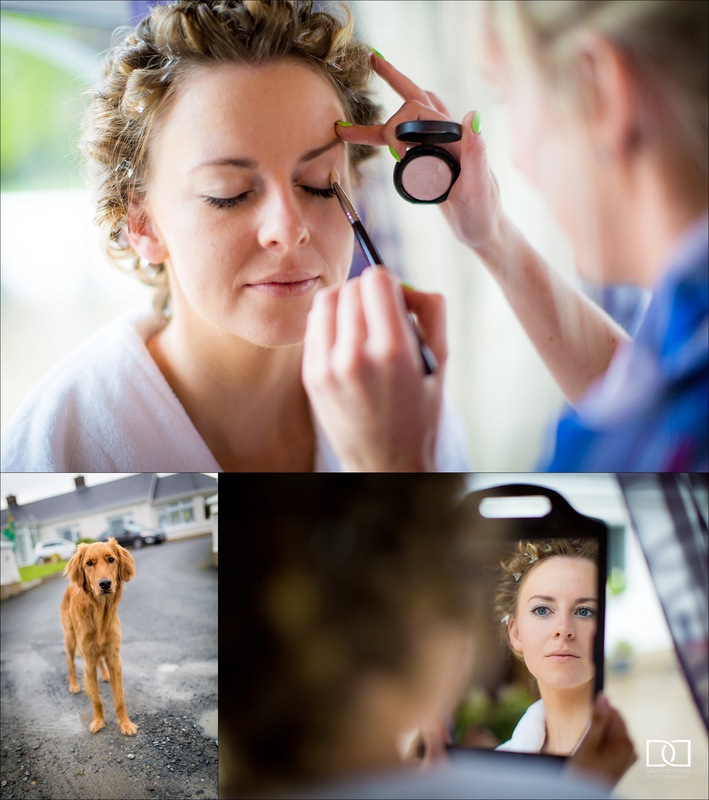 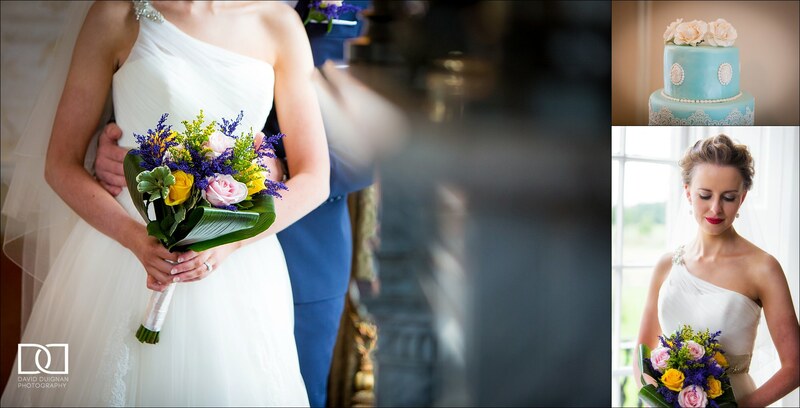 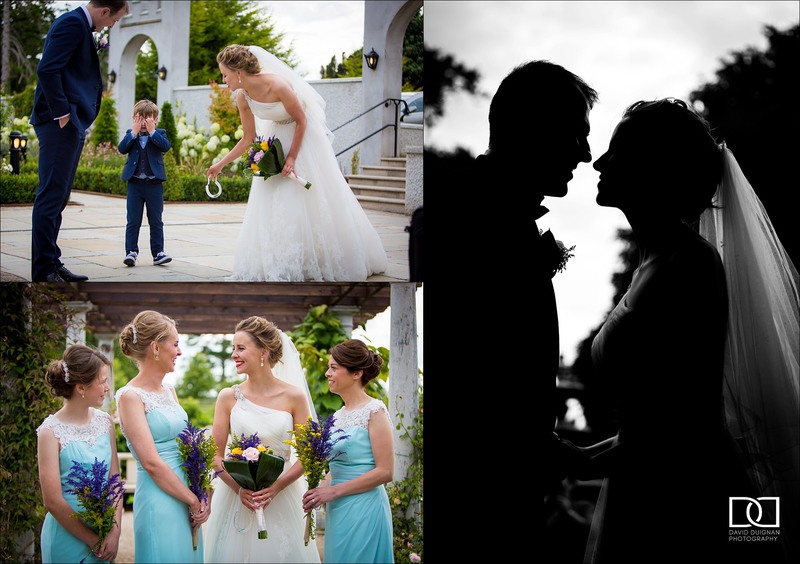 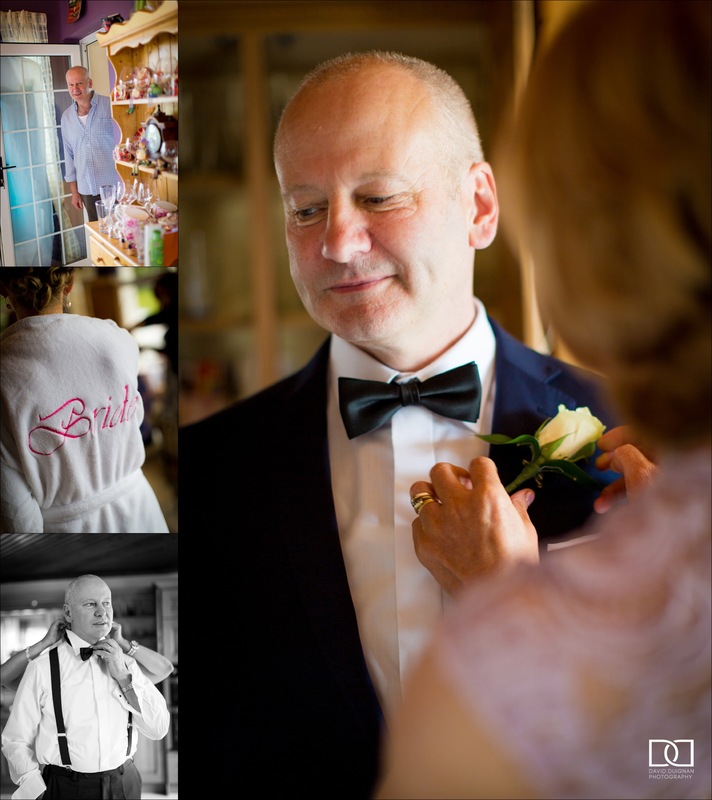 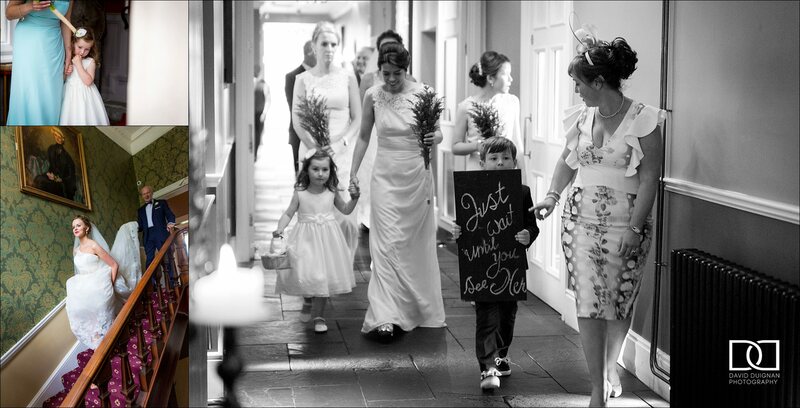 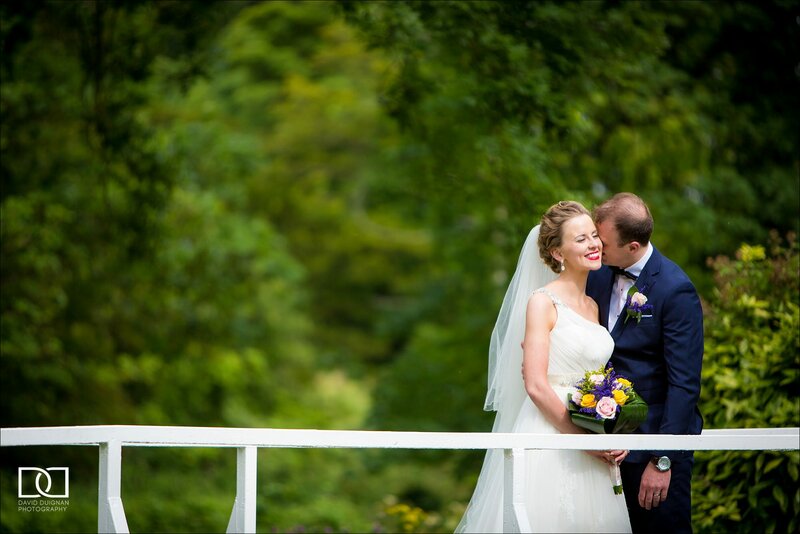 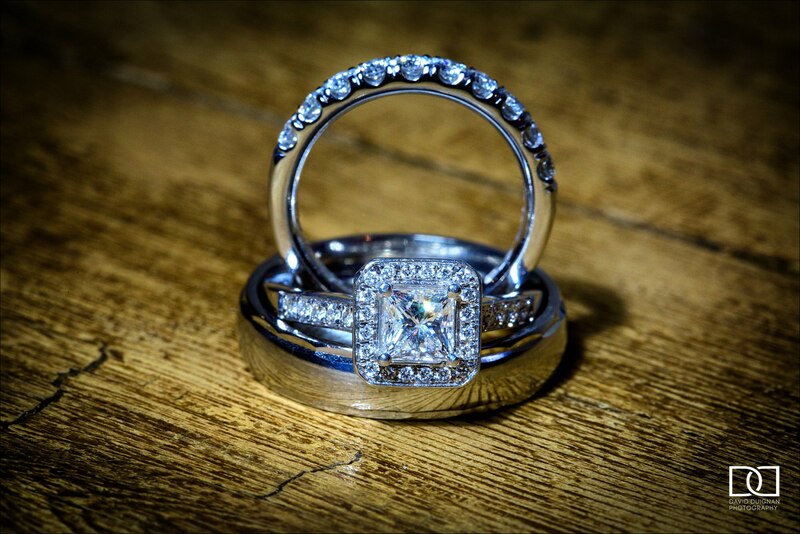 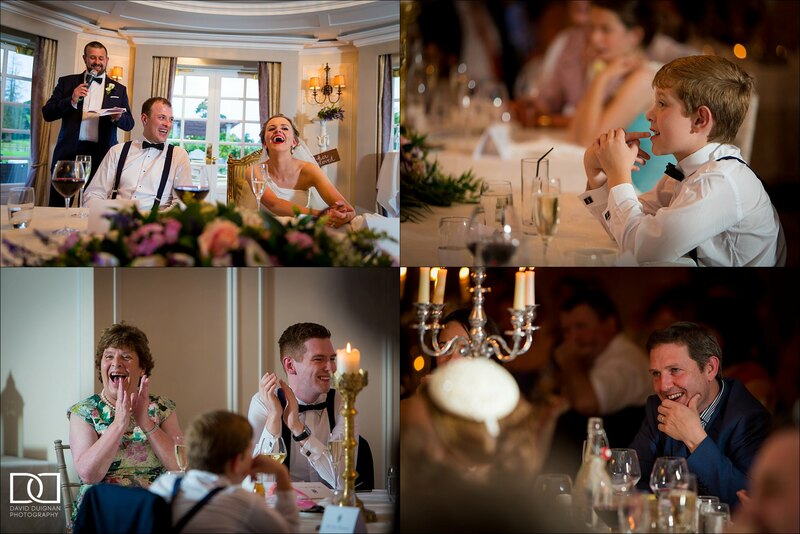 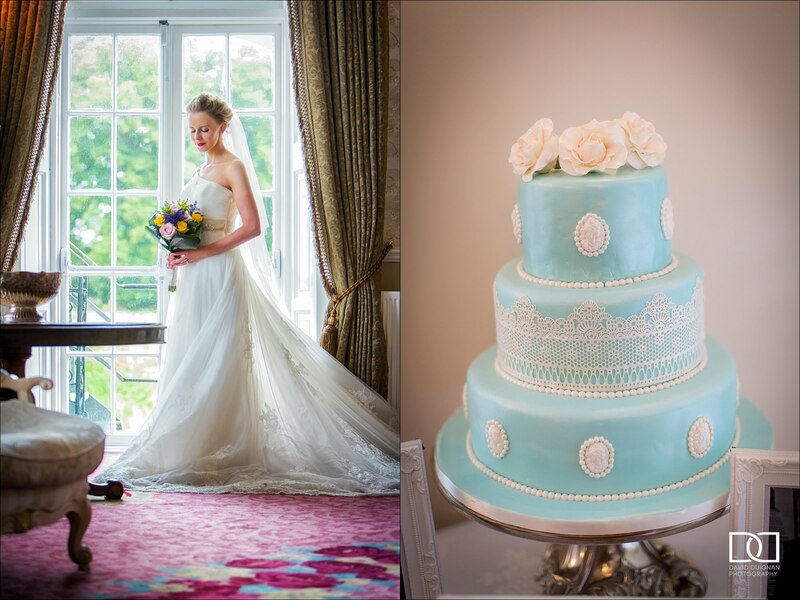 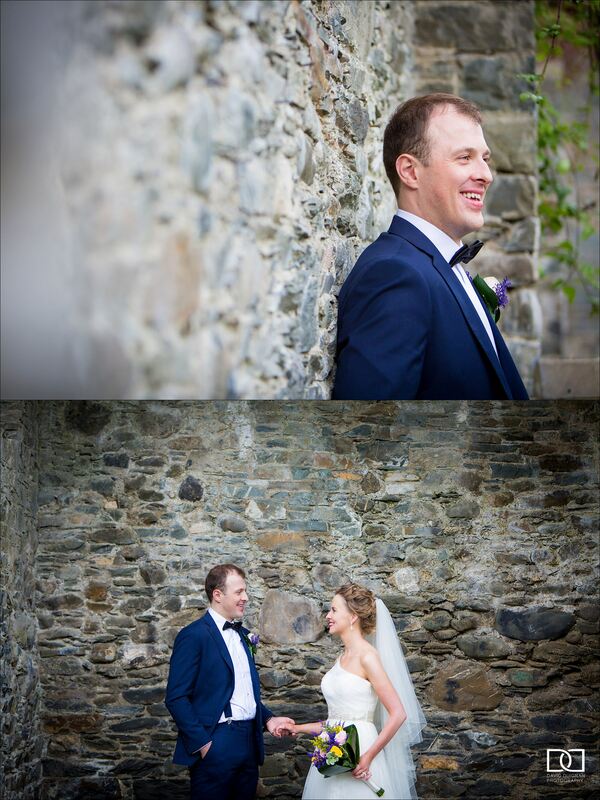 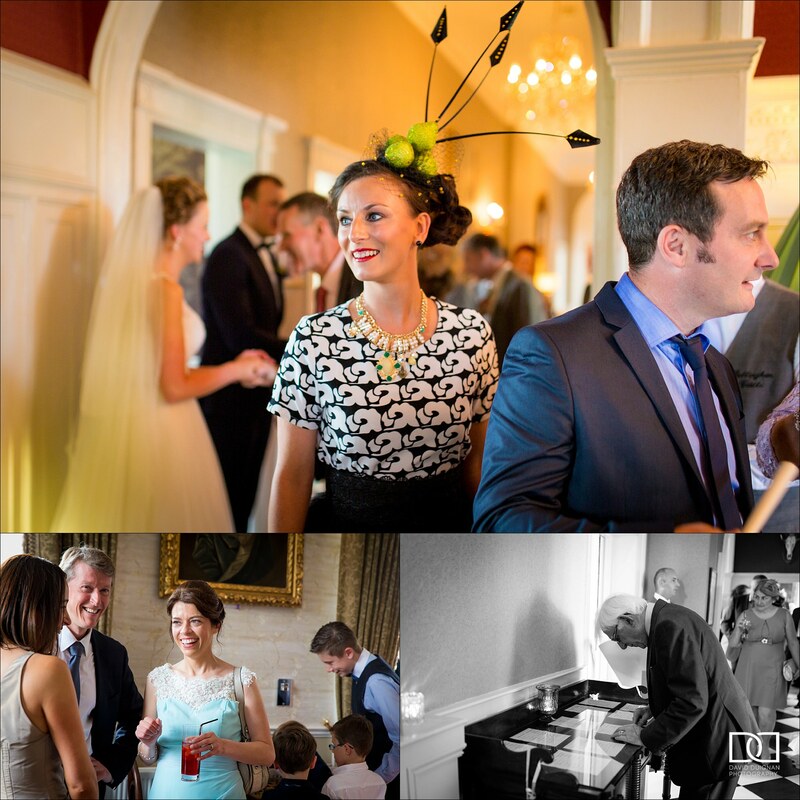 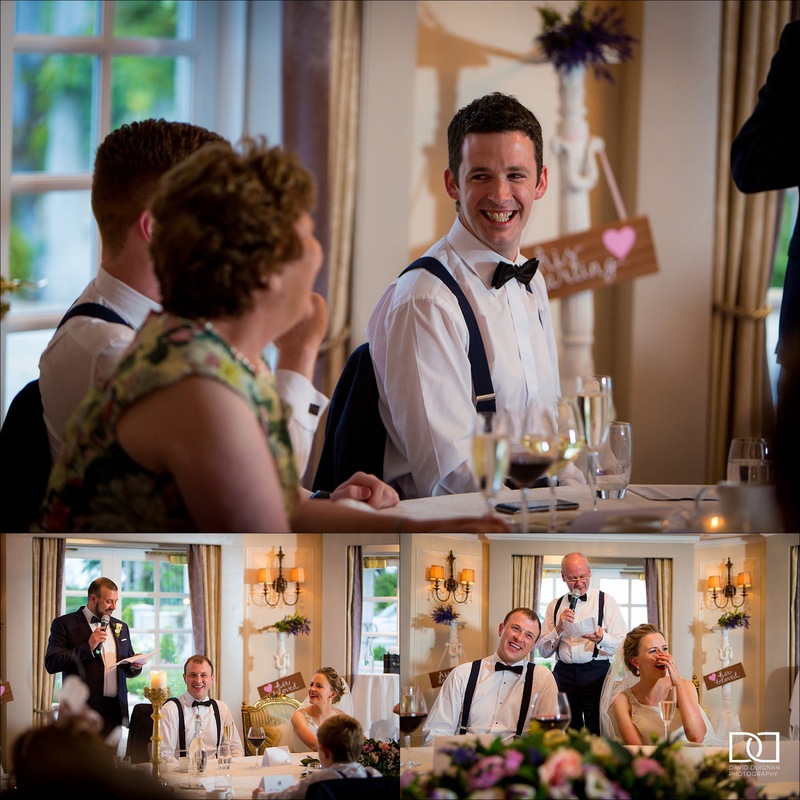 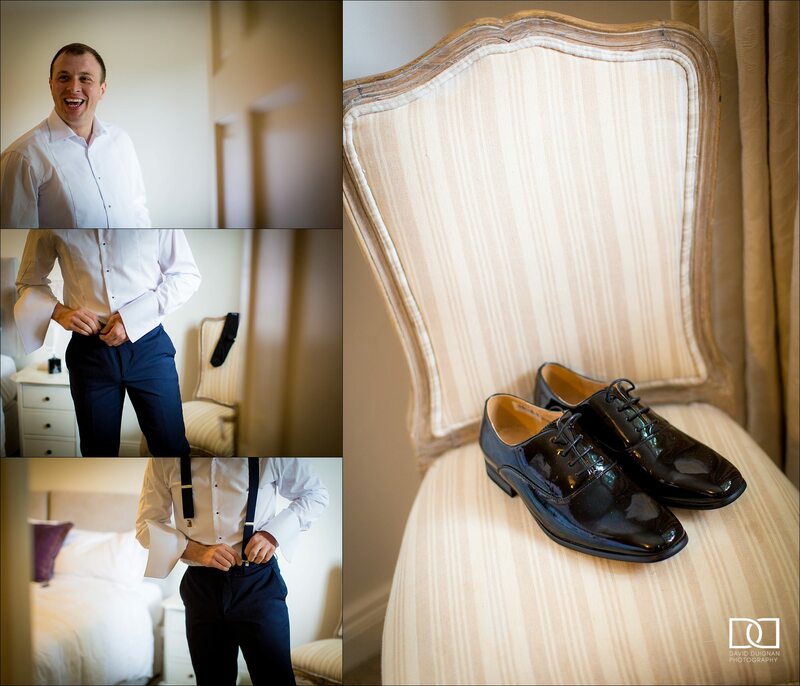 A Bellingham Castle Wedding always stands out. 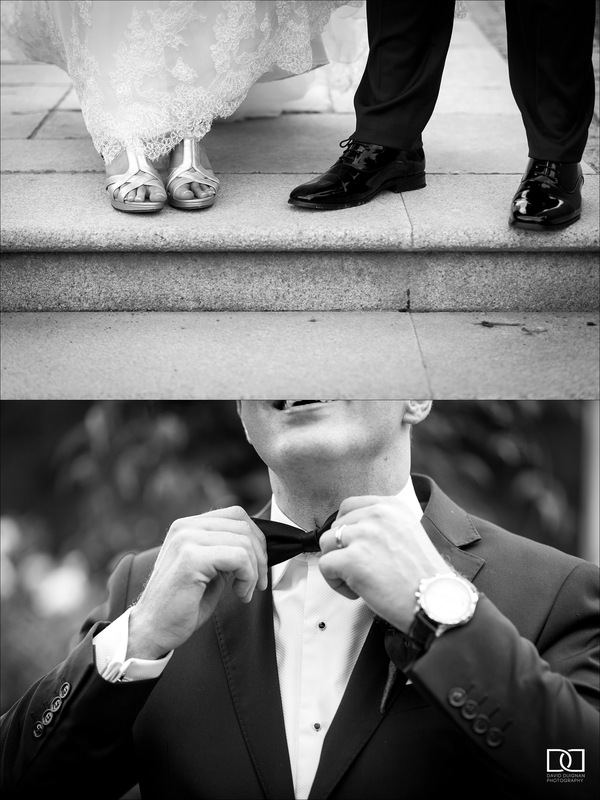 Scroll down to see why. 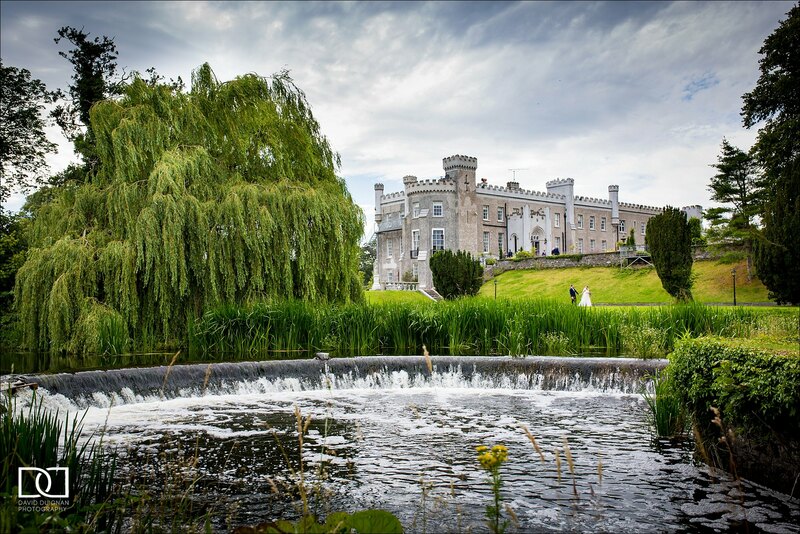 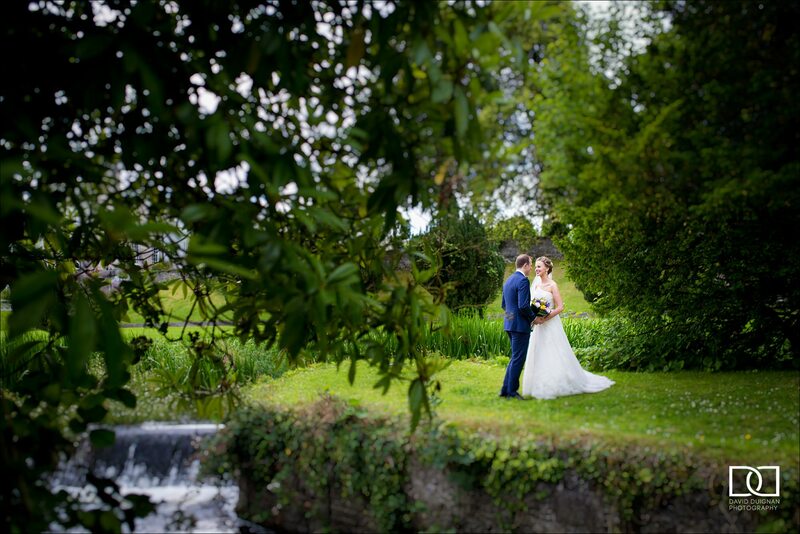 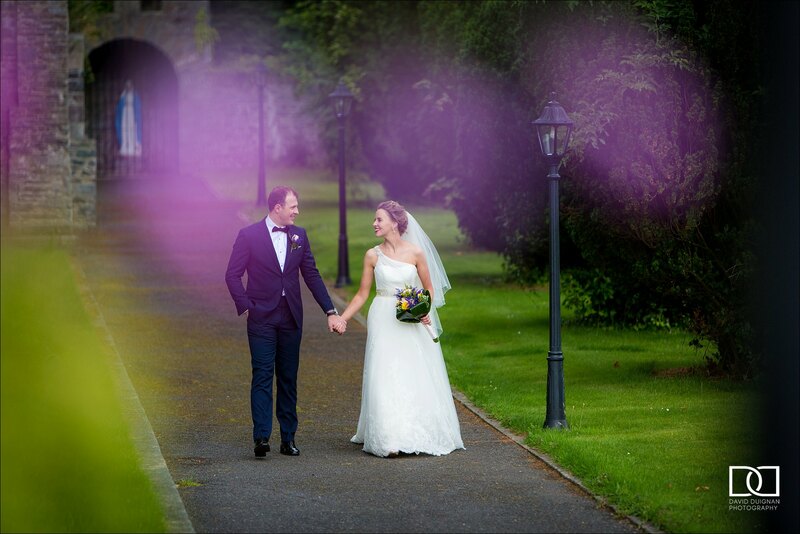 You simply can’t beat an Irish castle as a wedding venue and the recently renovated and re-opened Bellingham Castle in Co Louth is definitely no exception. 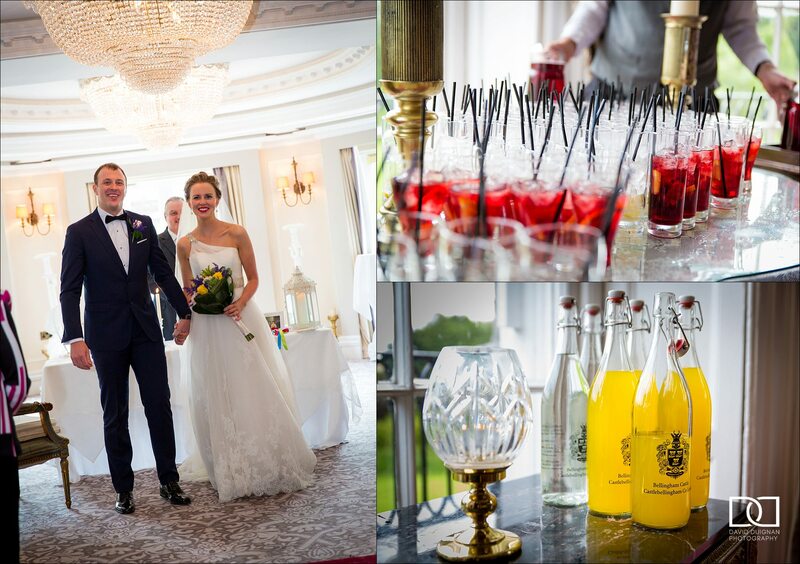 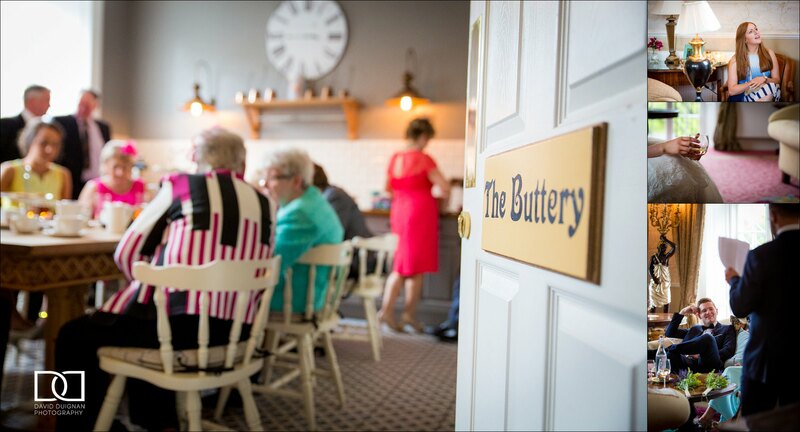 Beautiful interiors, fantastic grounds and an excellent service delivered by highly professional staff make this venue a delight to work in. 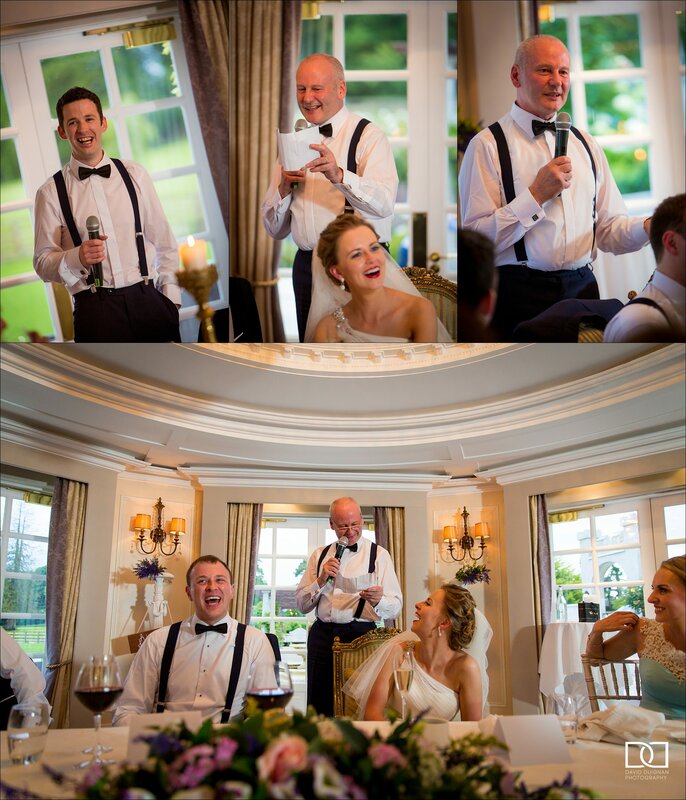 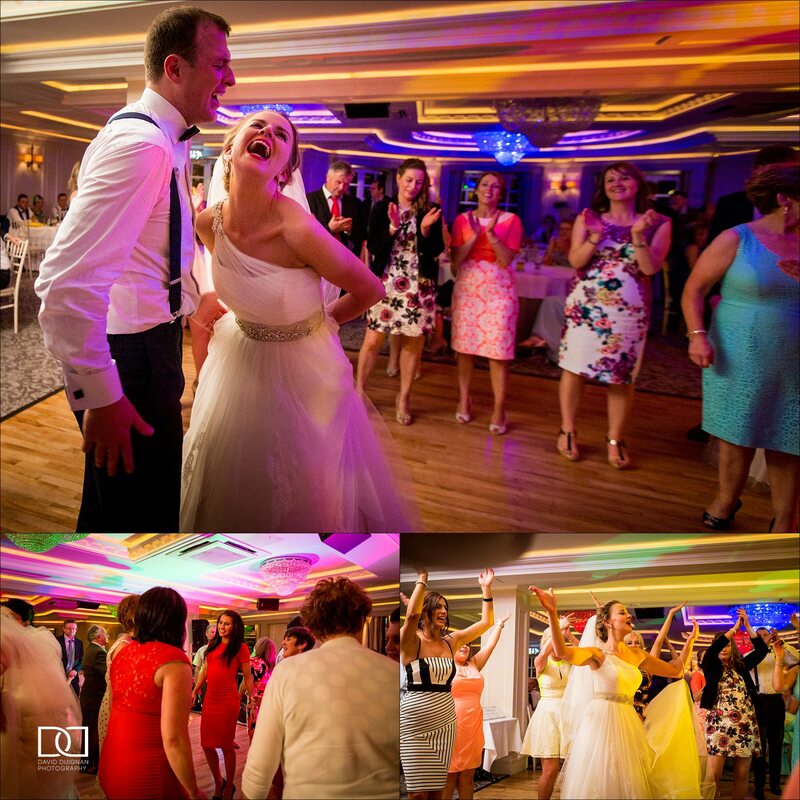 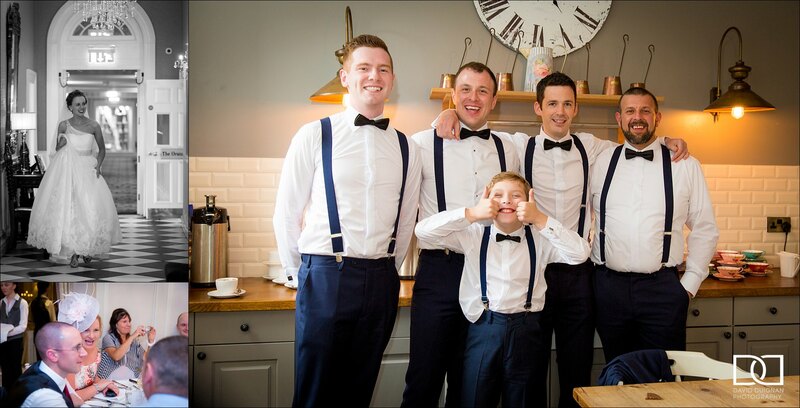 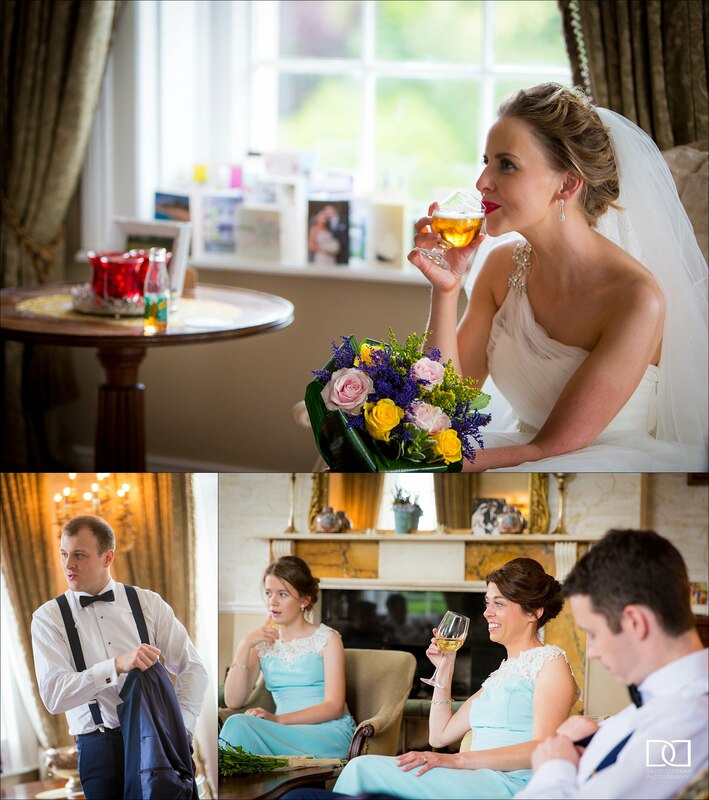 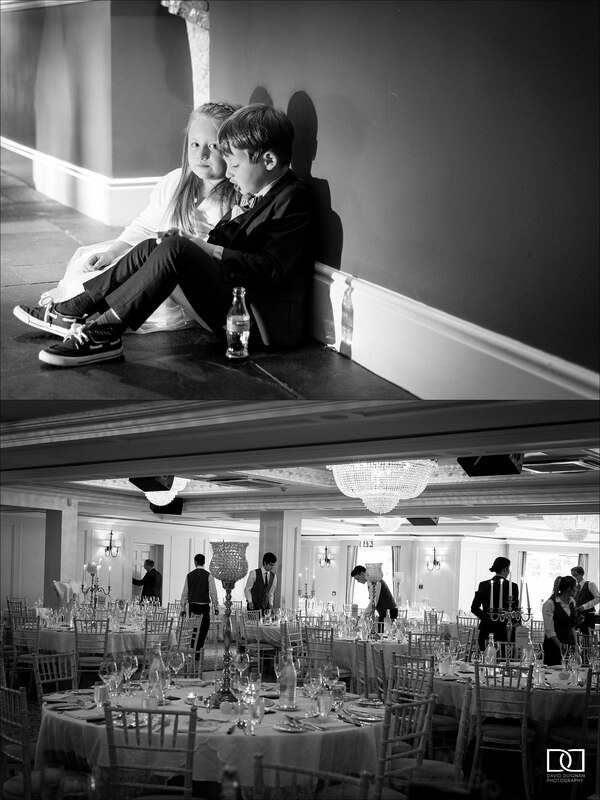 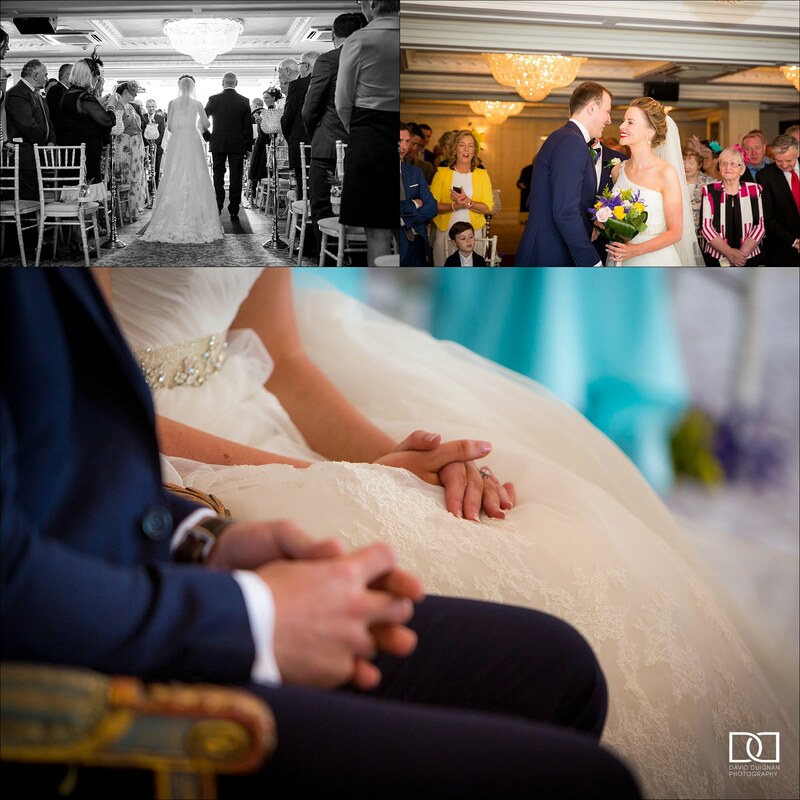 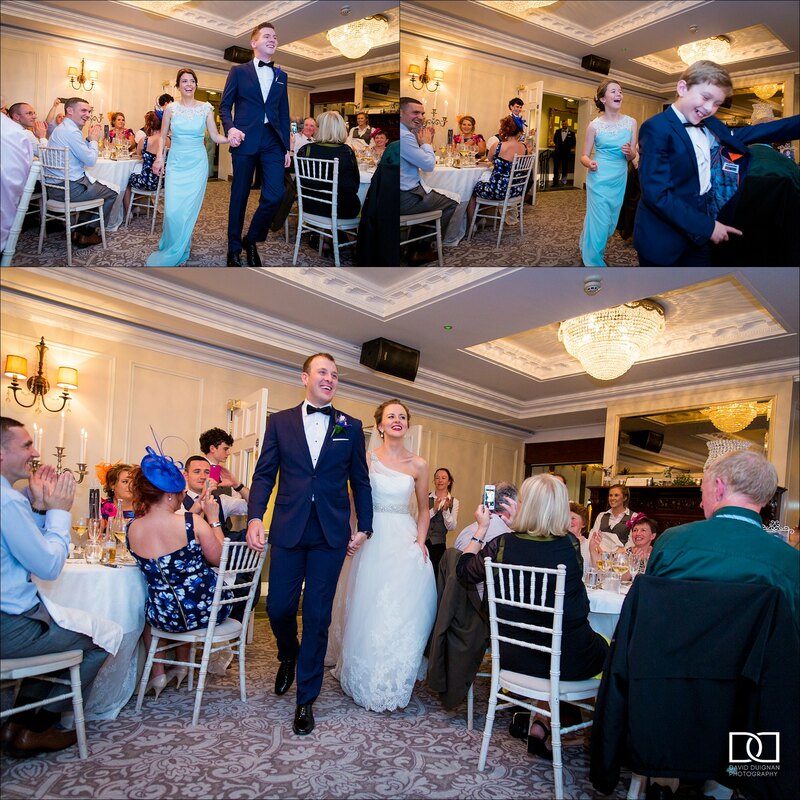 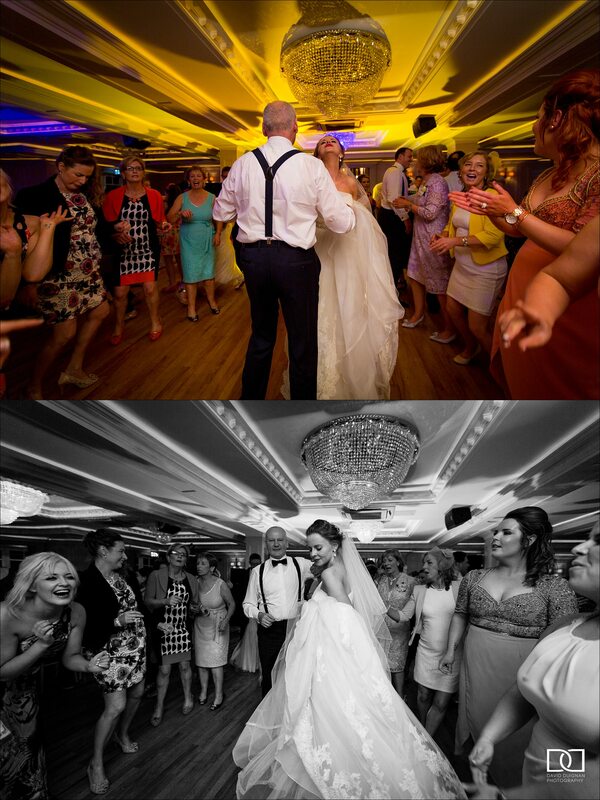 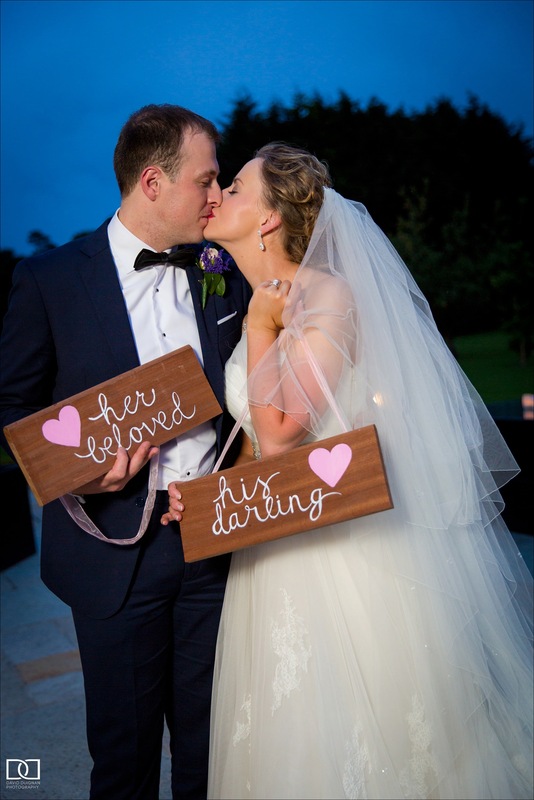 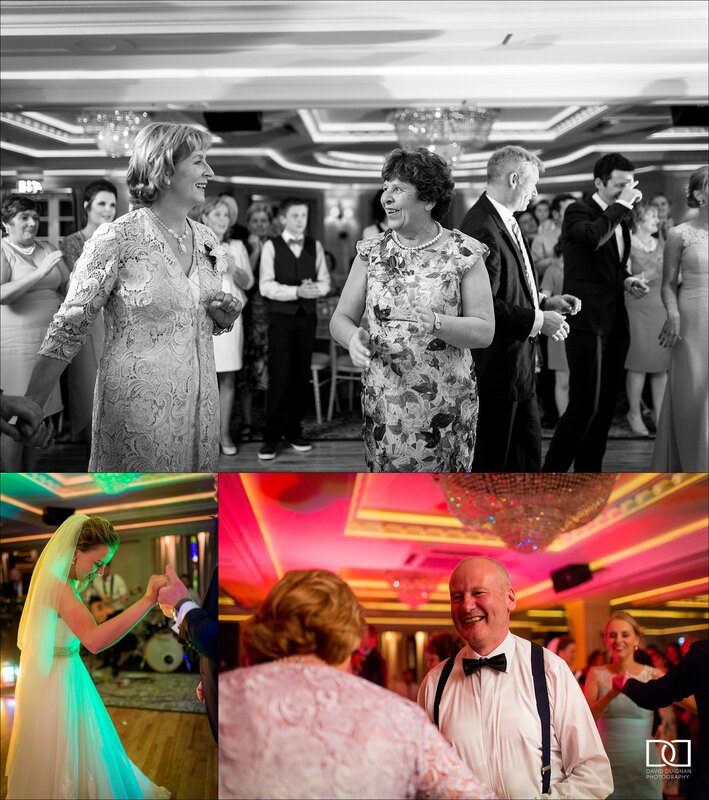 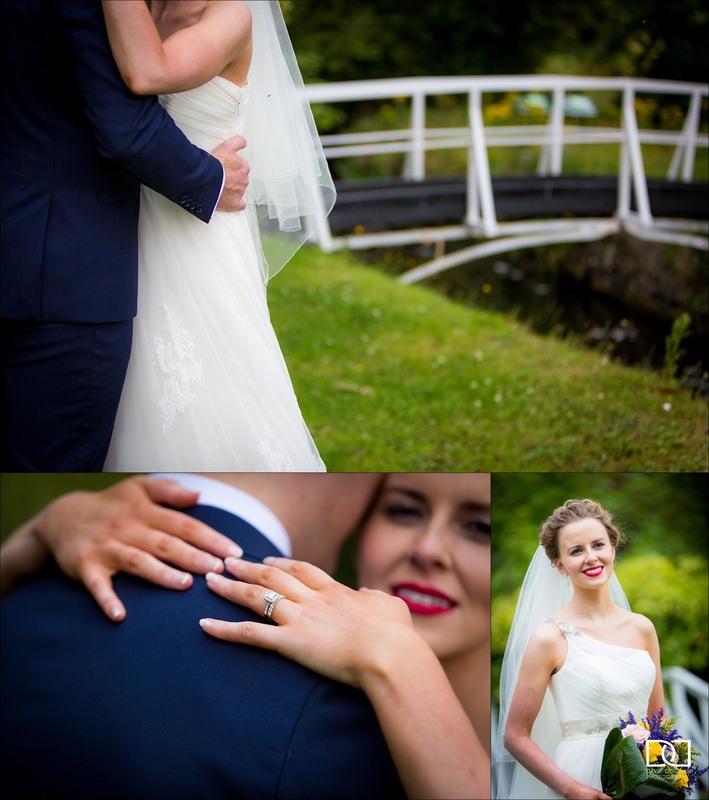 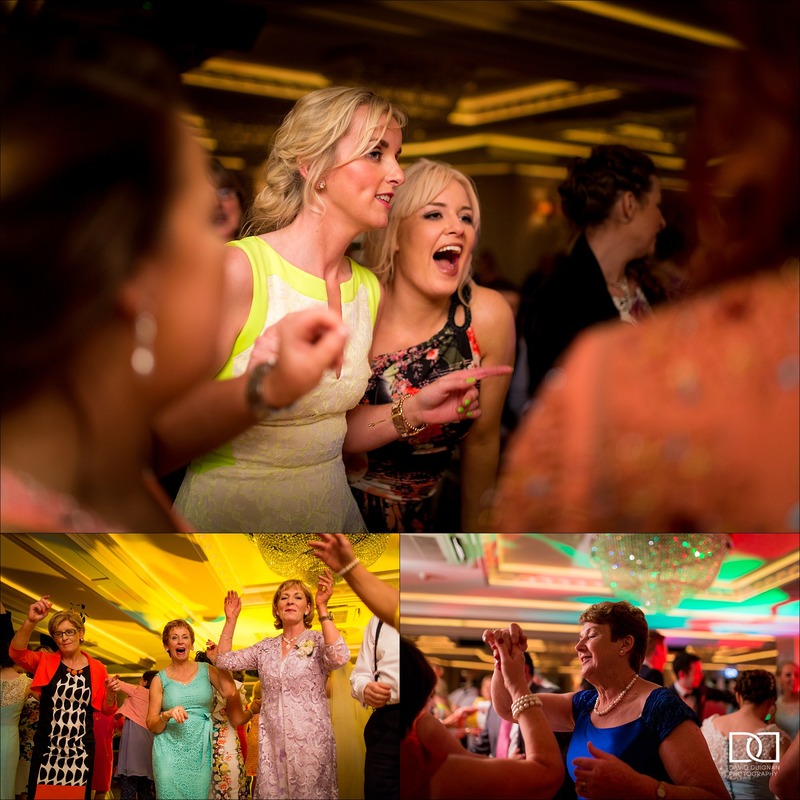 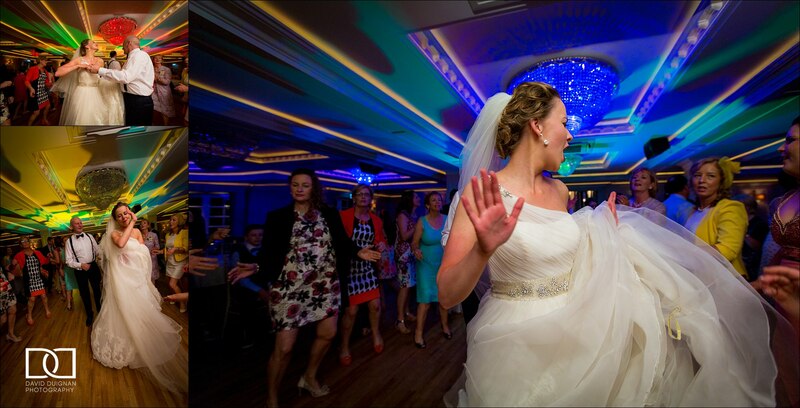 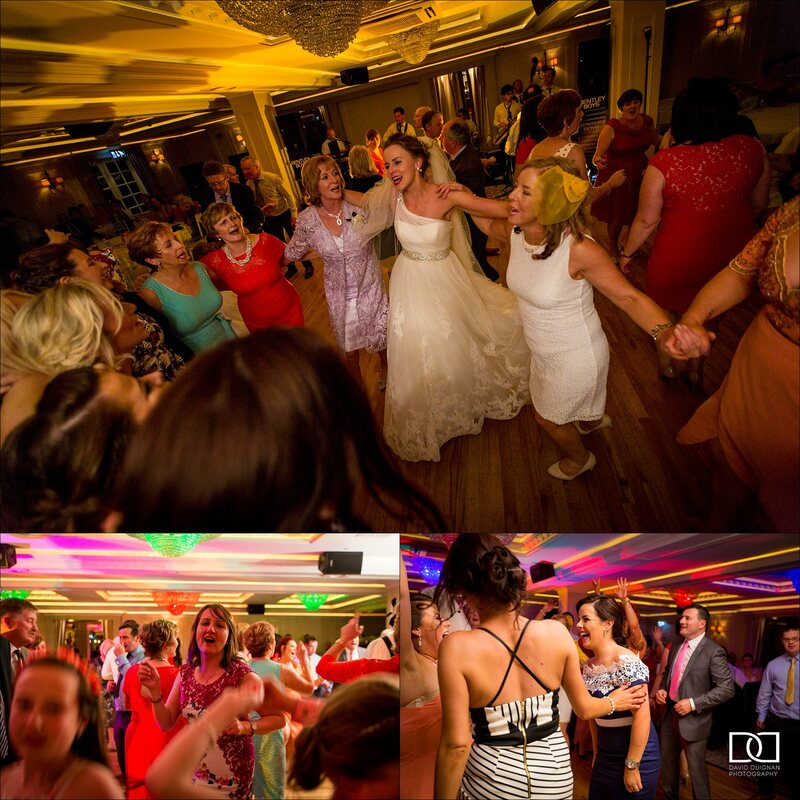 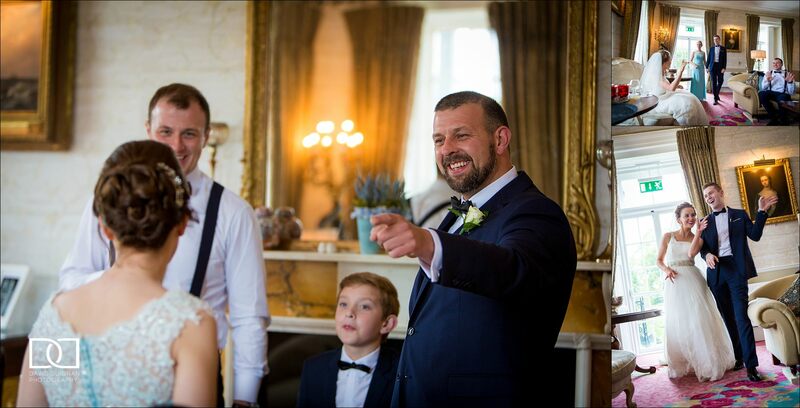 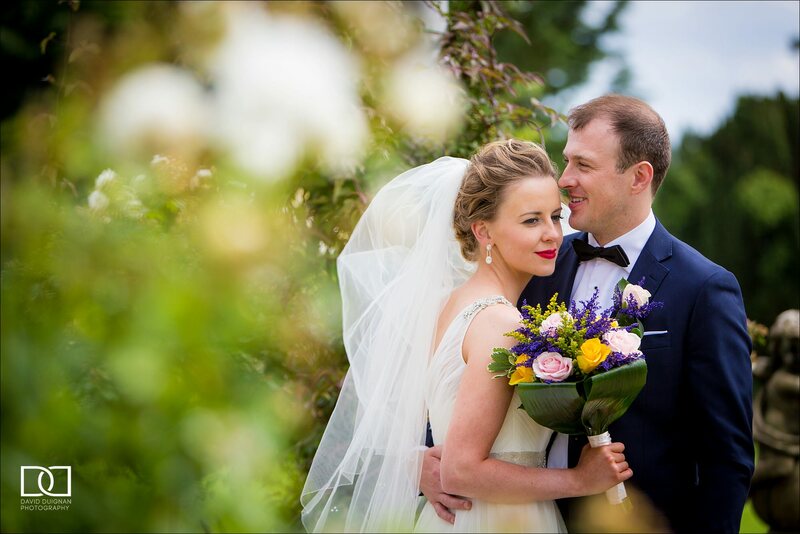 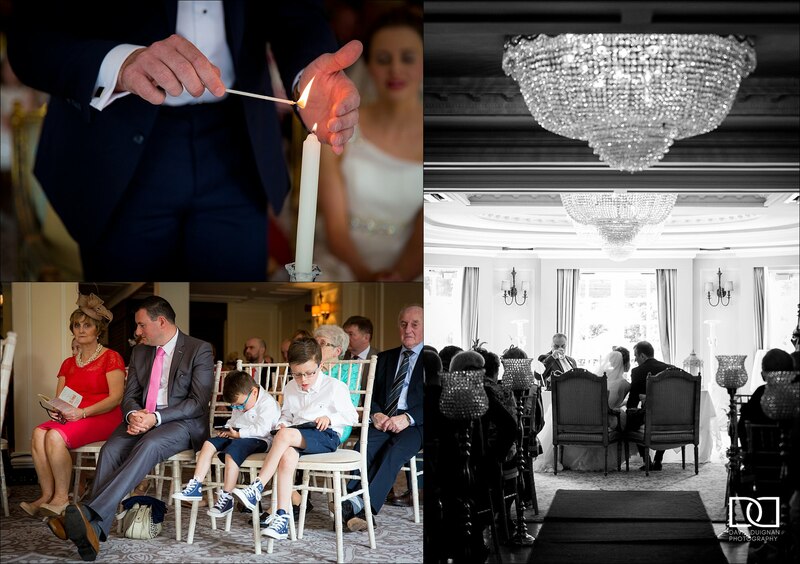 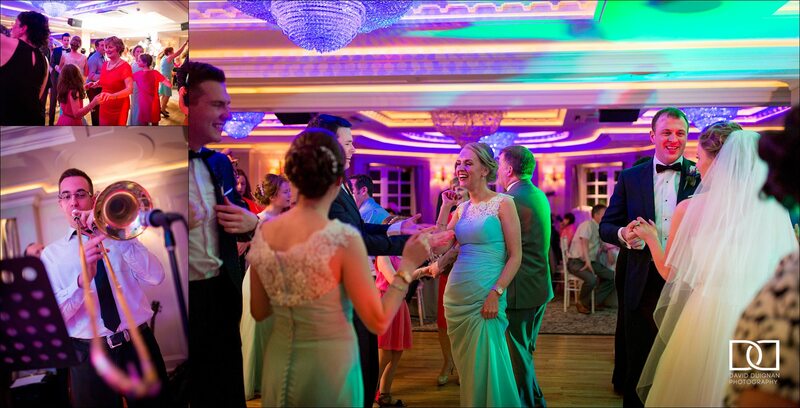 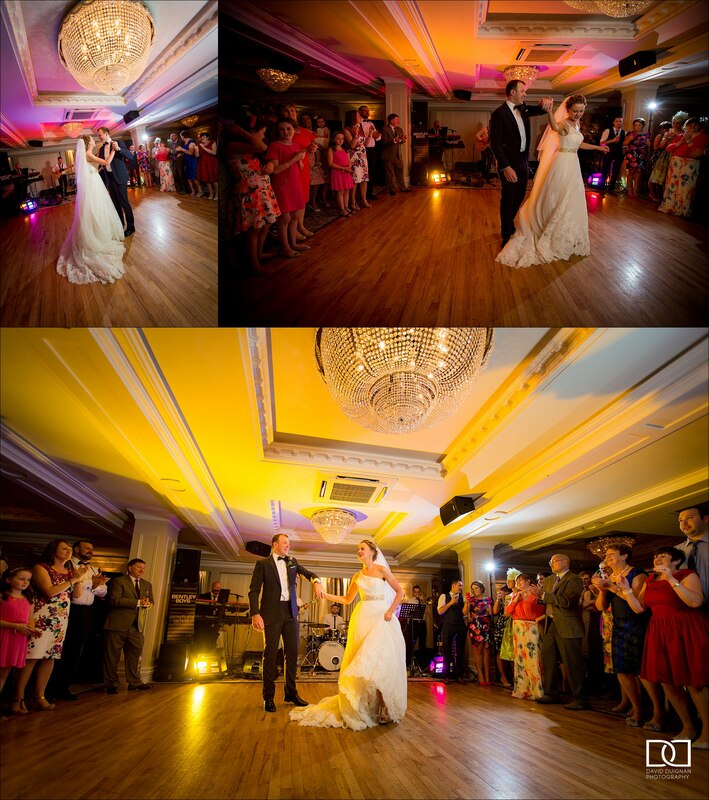 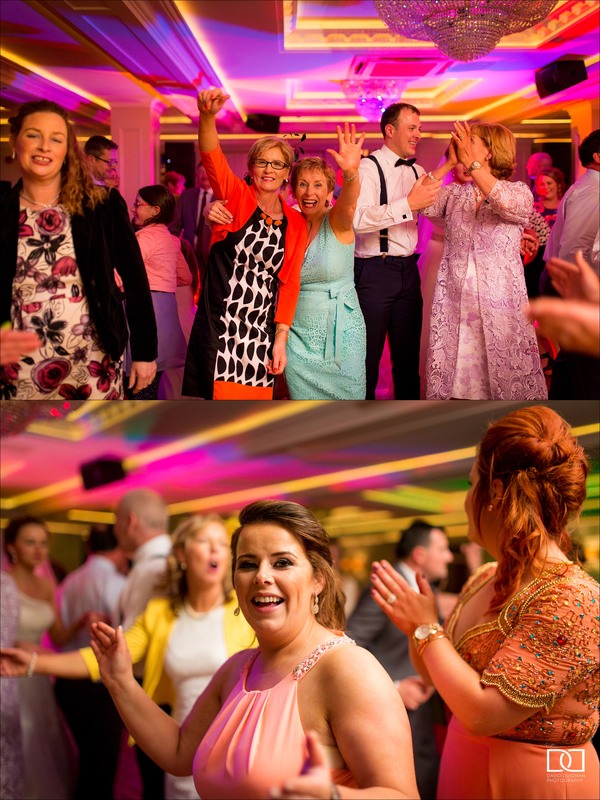 Karen and Noel had their ceremony and reception here in August 2015 as it was local to Karen’s home town and also they wanted a high class venue to celebrate their big day with their large number of family and friends. 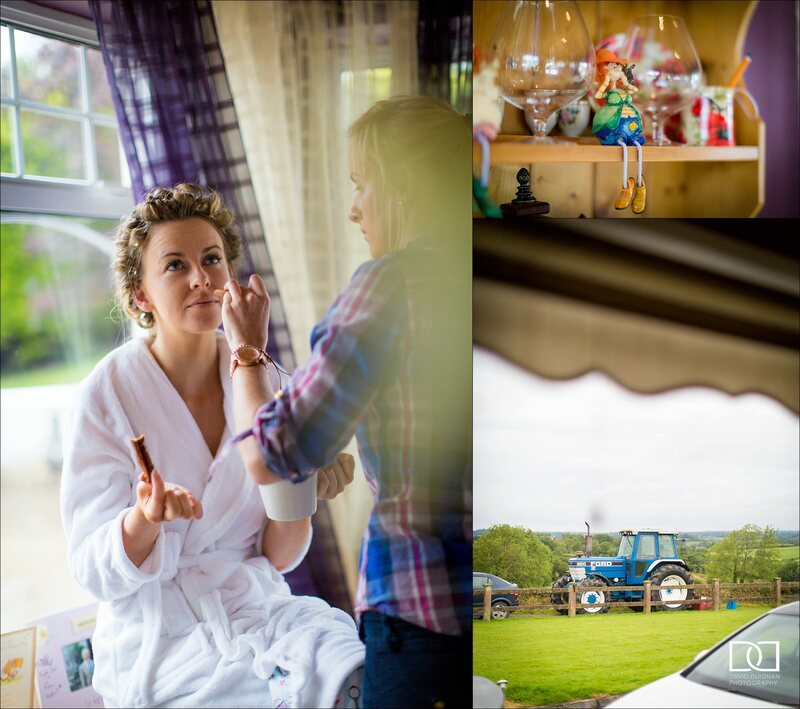 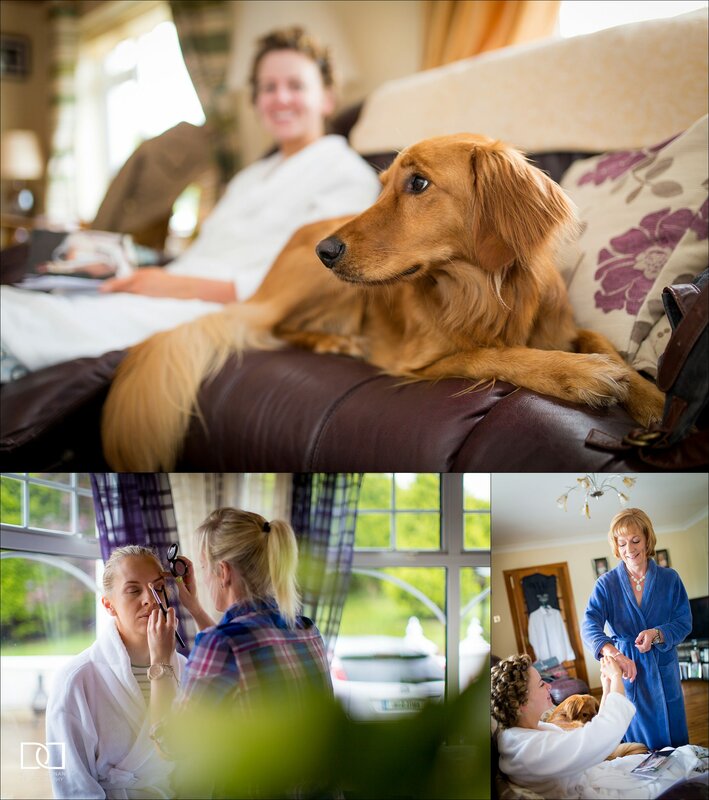 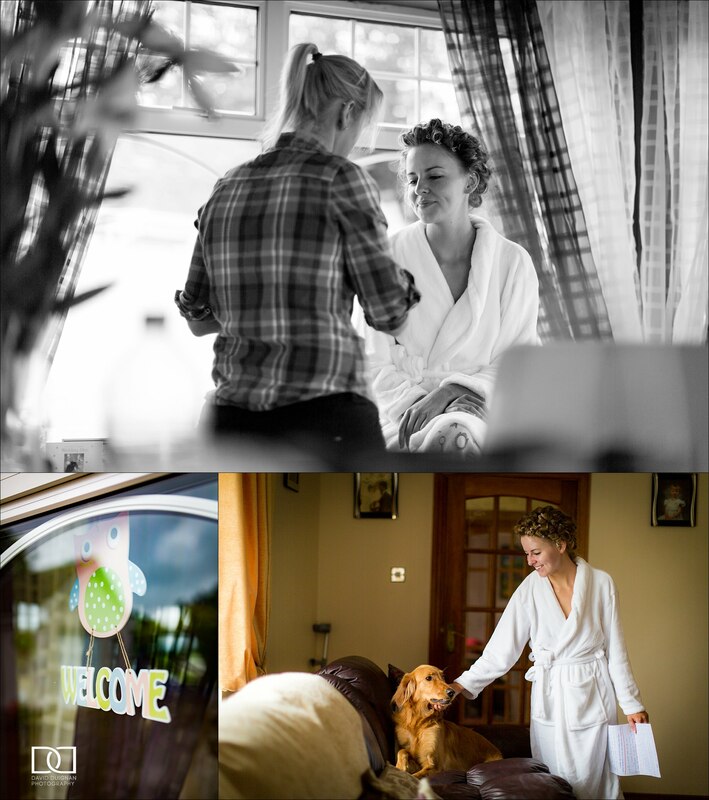 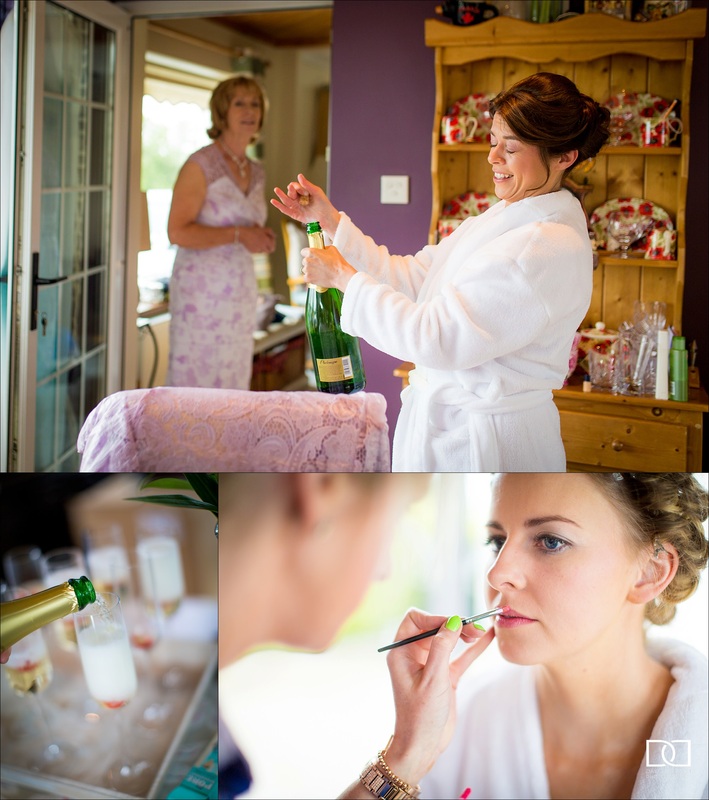 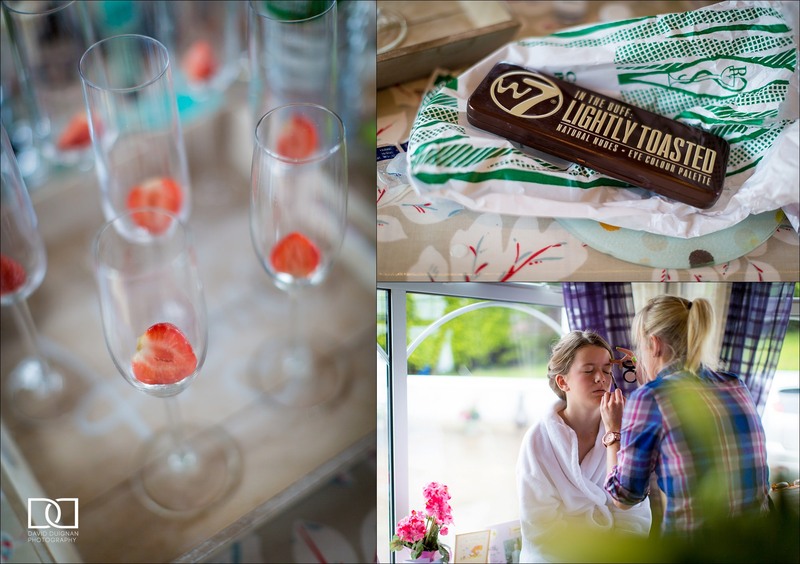 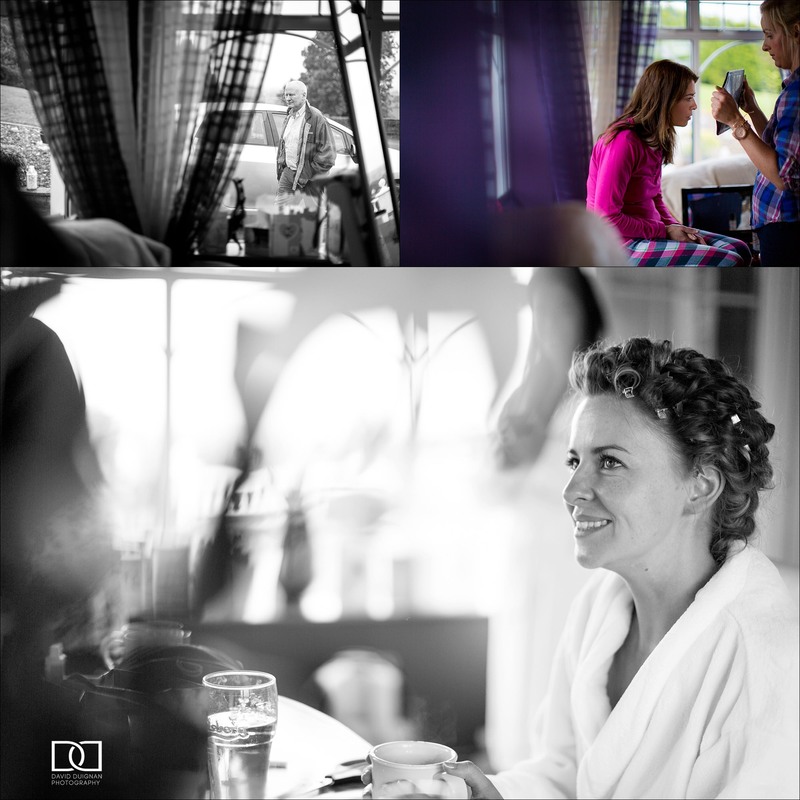 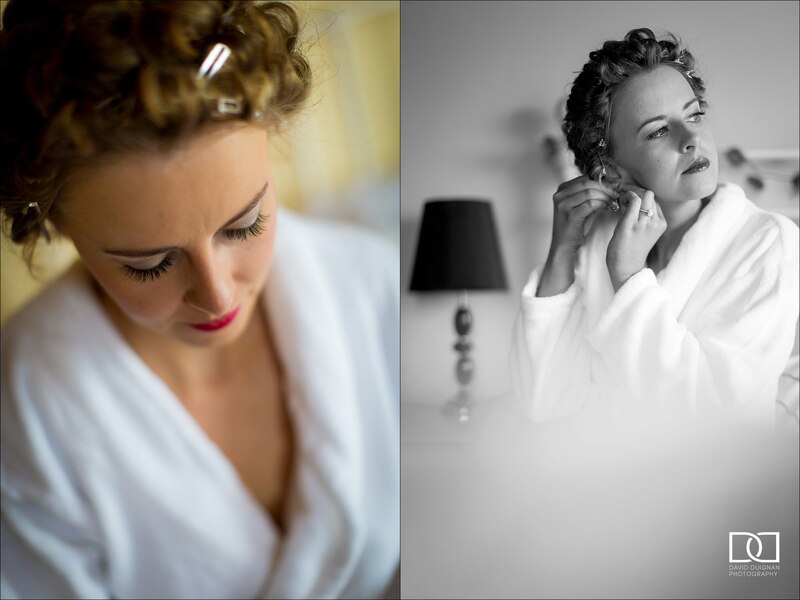 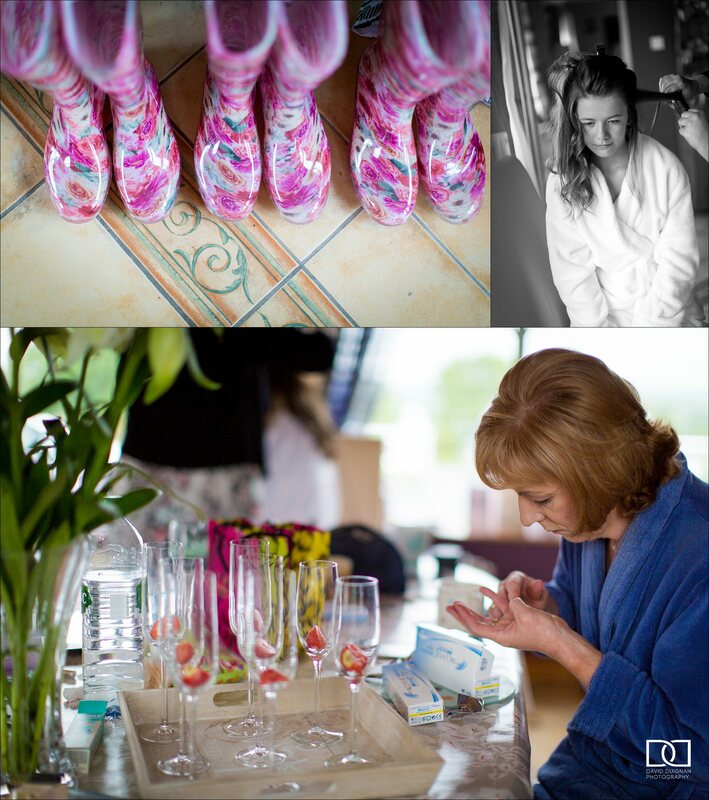 Bridal preparations took place in Karen’s family home and literally went off with a bang when an iron exploded…!! 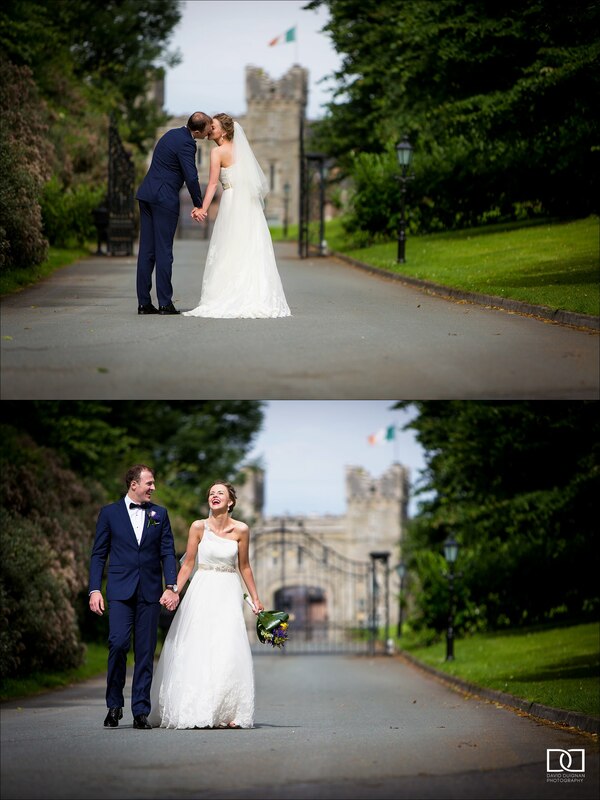 Thankfully that was the only mishap on the day. 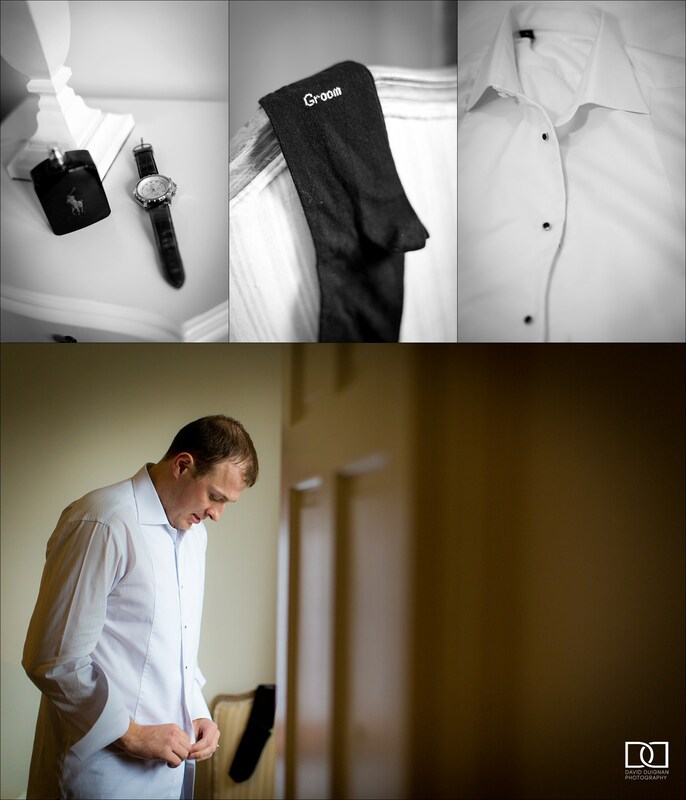 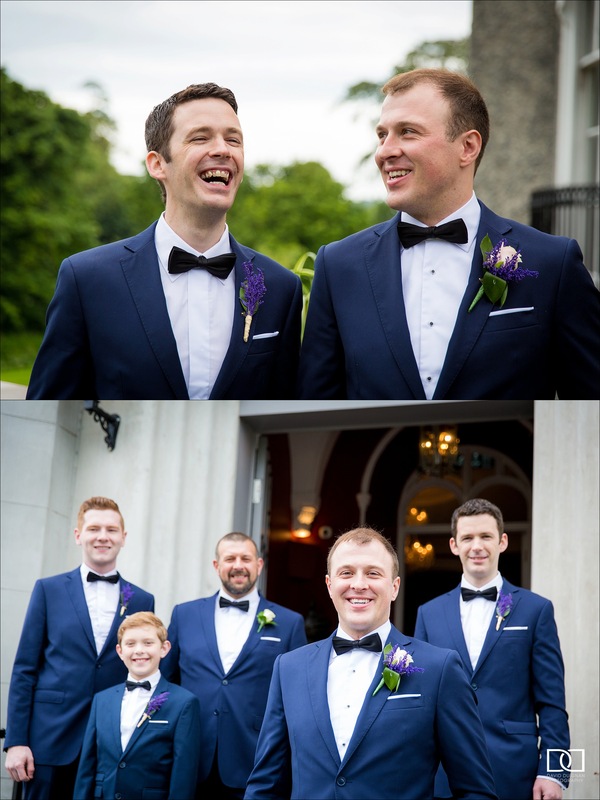 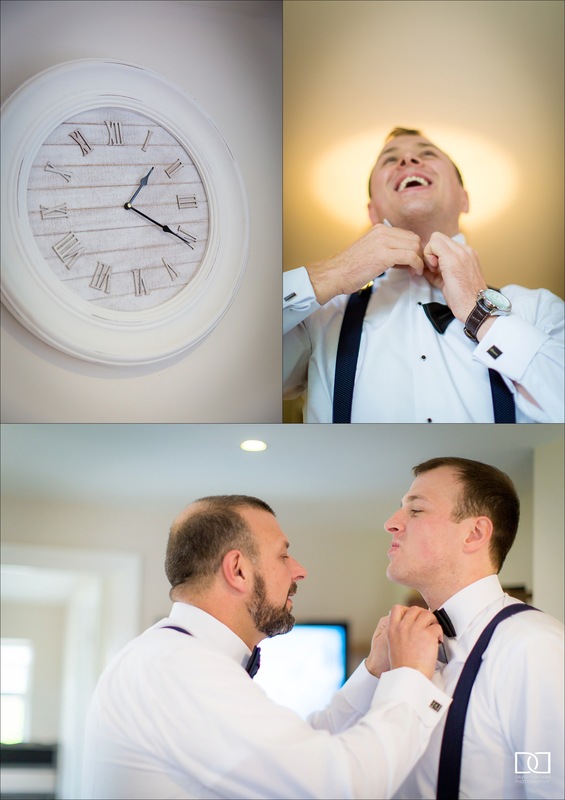 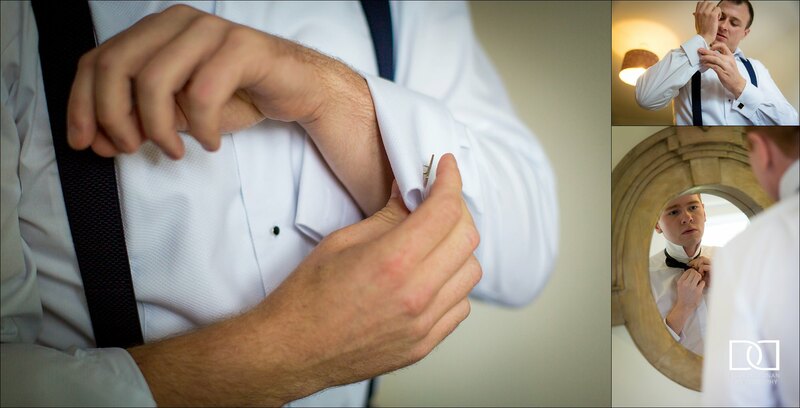 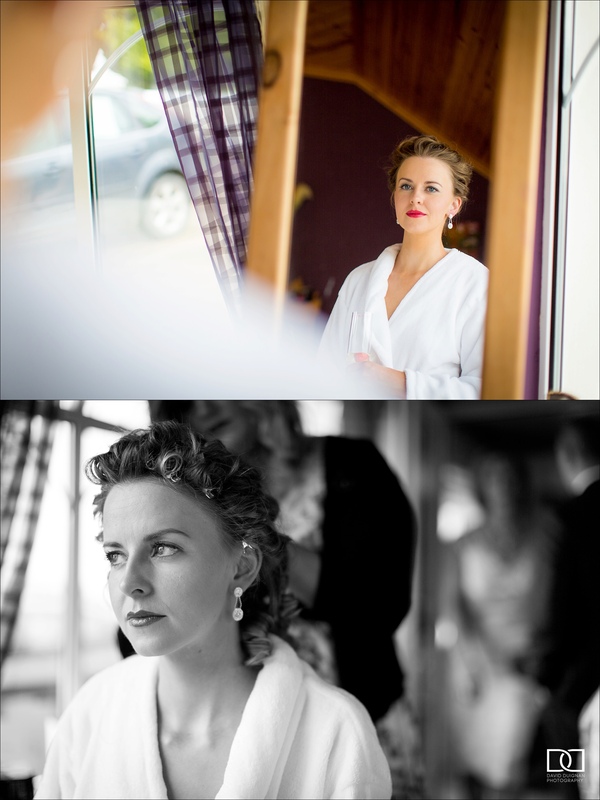 The guys got ready in a cottage on the castle grounds and I was able to make it there for their preparations also. 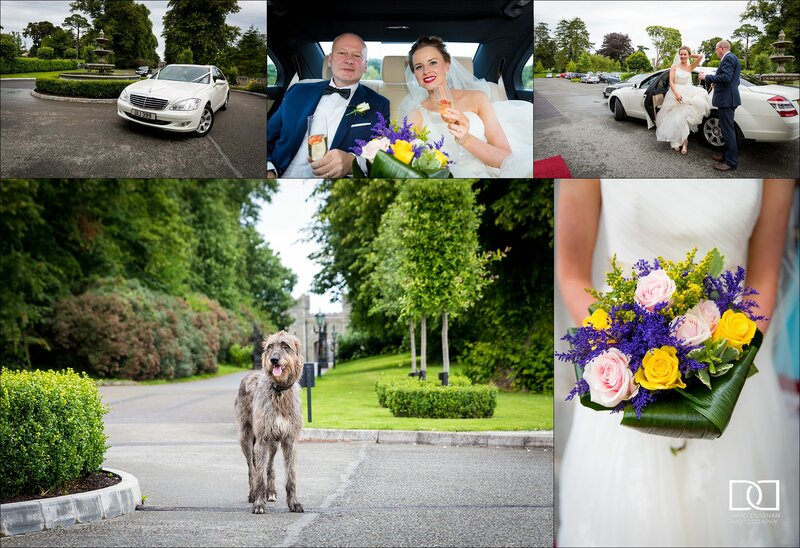 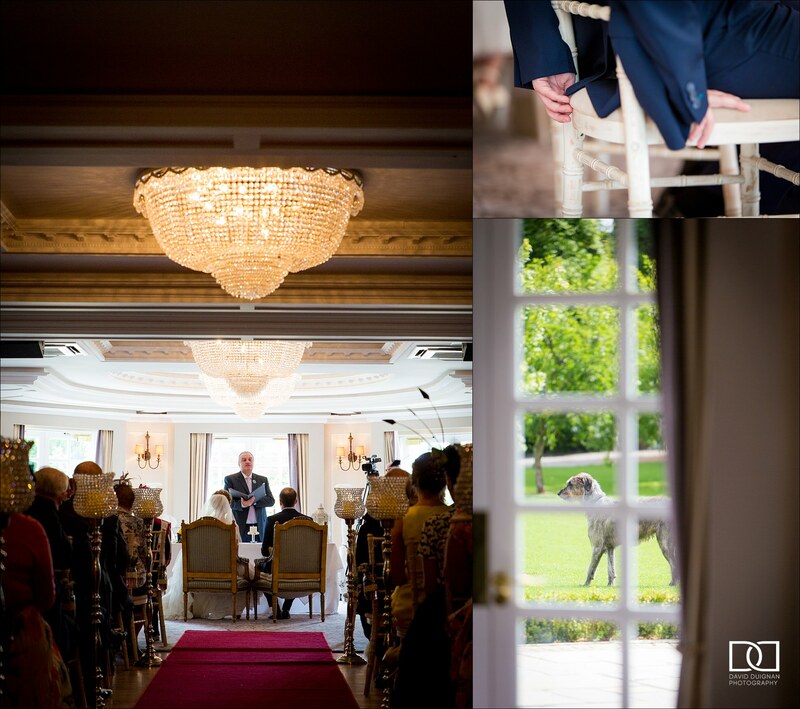 The ceremony was held in the beautiful large function room which opens out onto the back lawn of the castle where the friendly resident Irish Wolfhound basked in the afternoon sun. 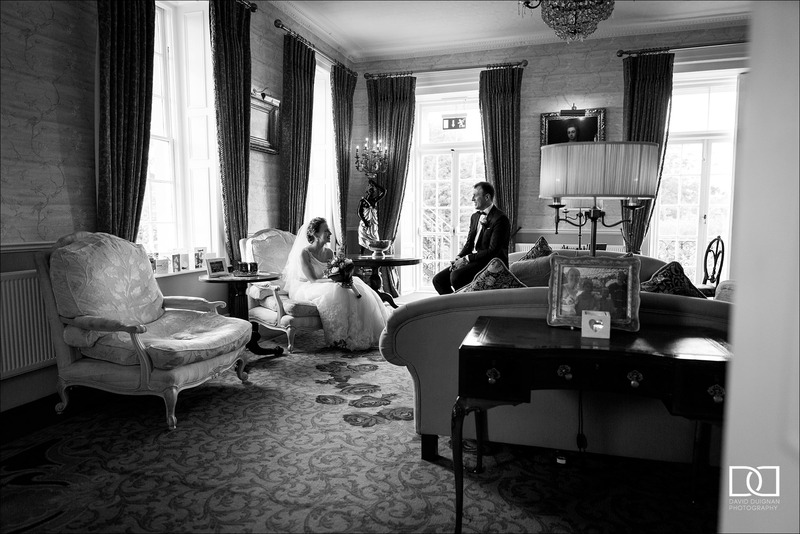 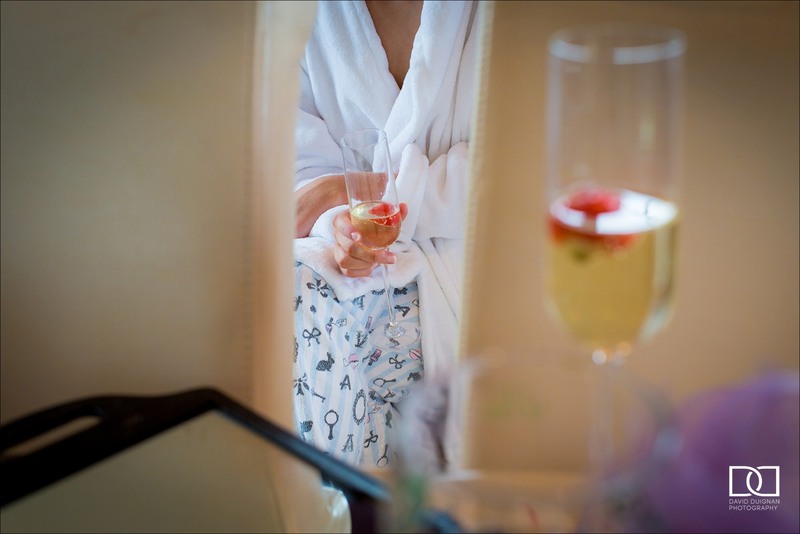 Afterwards some mingling with champagne and canopies in the lavish drawing rooms before some quick photos and dinner. 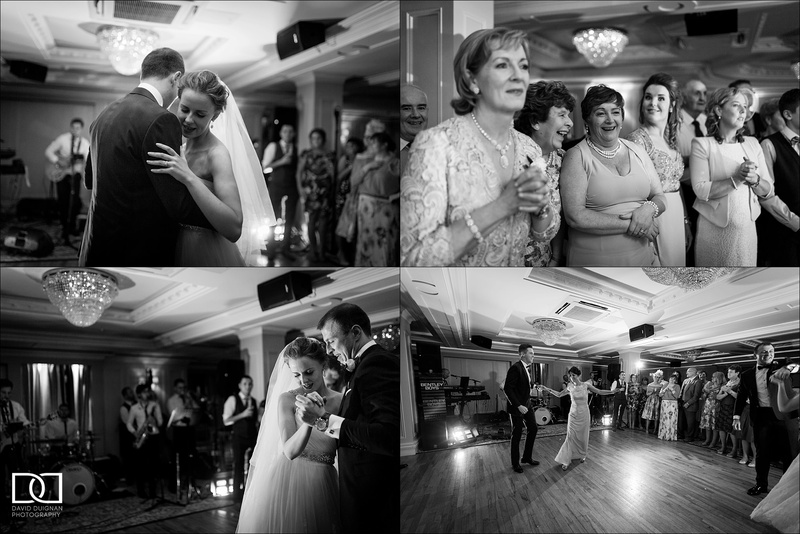 As usual I stayed until the dancing started meaning that cake cutting and speeches were also documented. 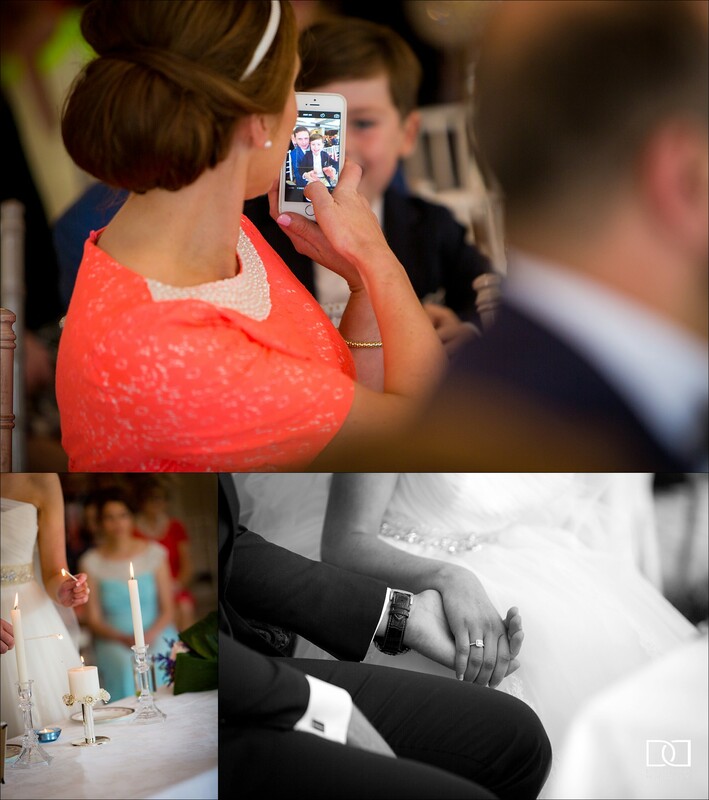 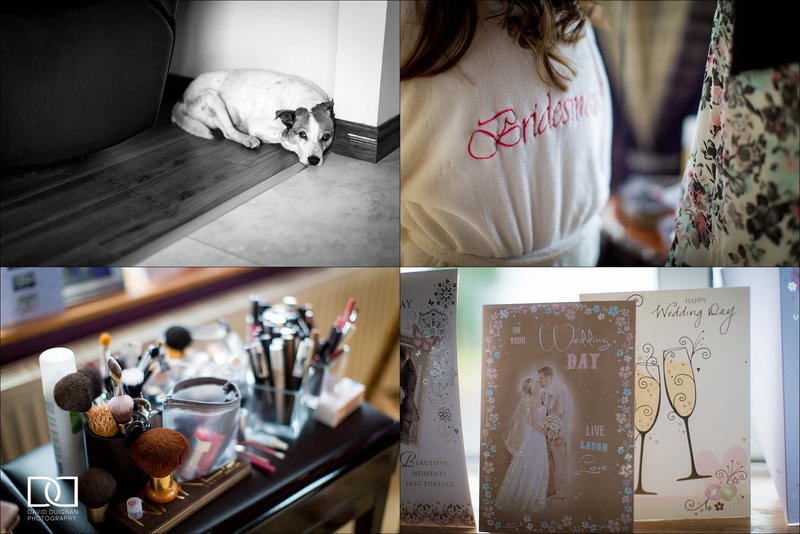 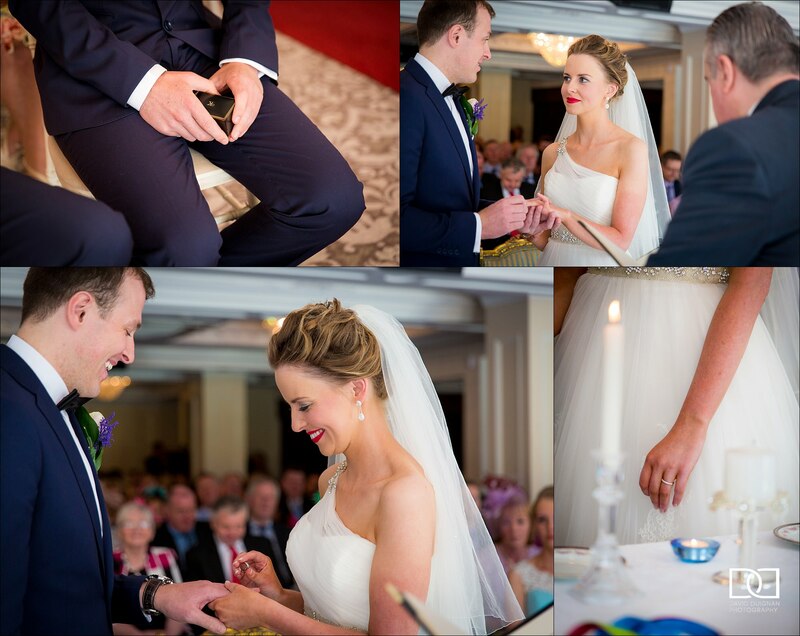 Thanks to Edel, my second shooter on the day for helping to capture so many gorgeous guest, detail shots and different angles which would have been impossible to achieve if I had just worked on my own. 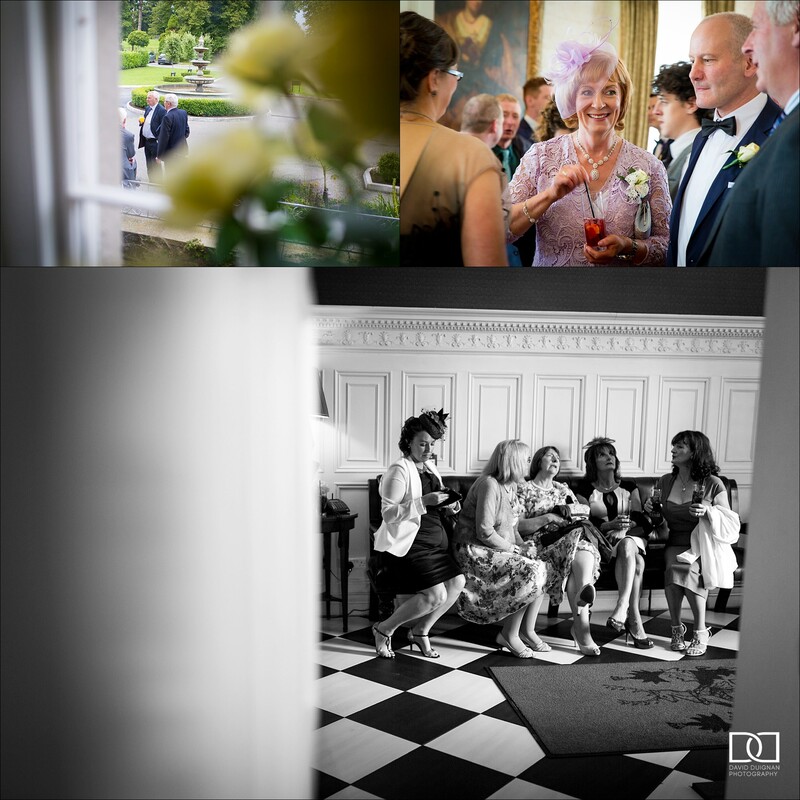 I’ve more weddings in Bellingham castle in 2016 so really looking forward to returning there. 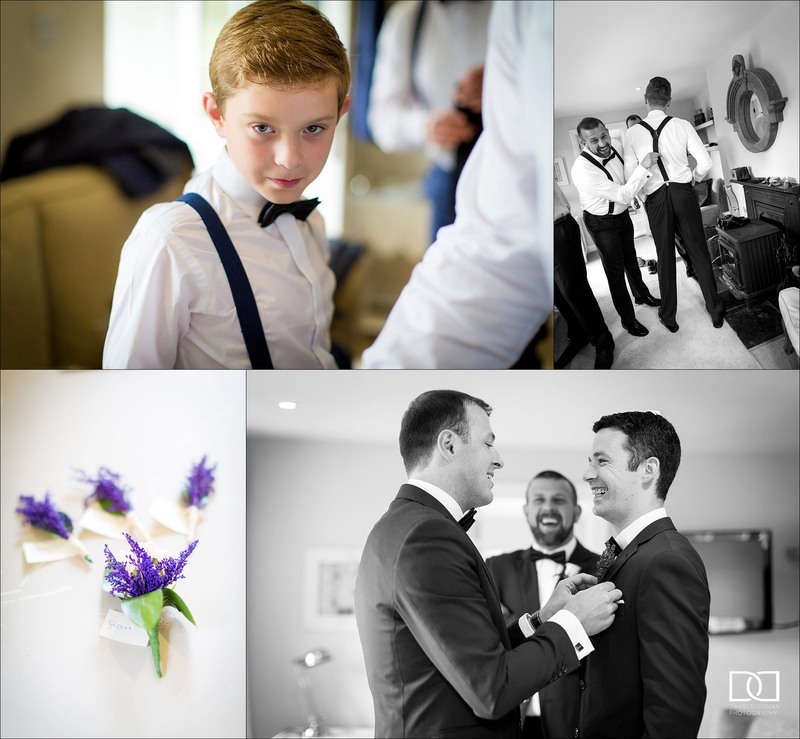 A small collection of images from the day in the gallery below. 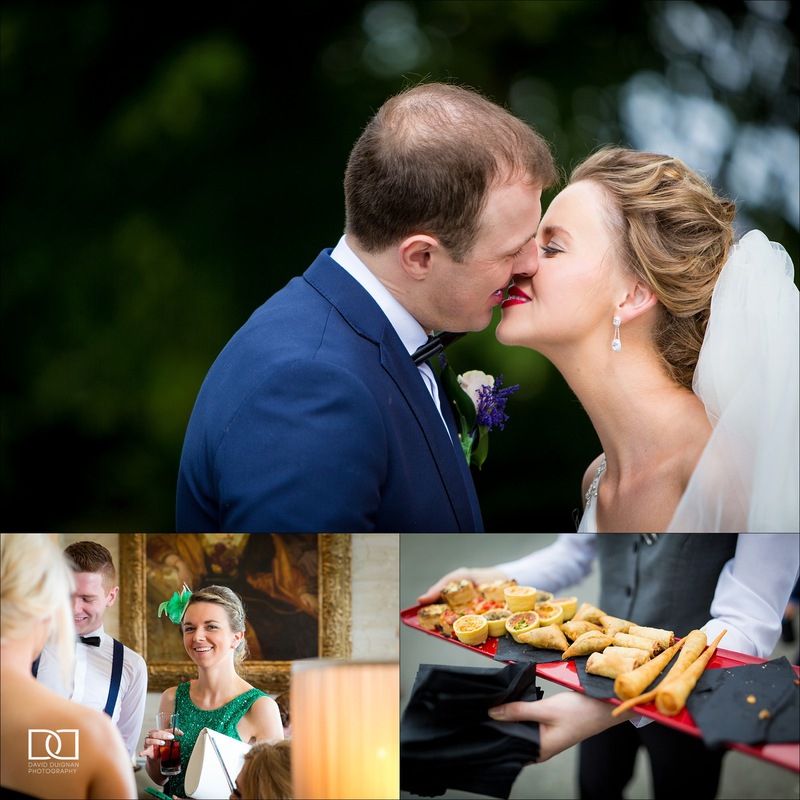 Karen and Noel, congratulations again on your wedding day and I want to thank you for choosing me to be your Bellingham Castle Wedding Photographer.